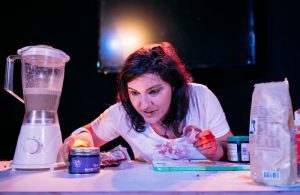 Strong new writing from Irish company Malaprop Theatre, BlackCatfishMusketeer is a wonderfully word-rich reworking of the romantic comedy genre for the digital age that finds an inventively lo-fi way of representing online interaction on stage. Daniella Isaacs’s exploration of the damage done in the name of wellness is sharp and smart about the way the concept of eating clean can come to dominate people’s lives. Drawn from personal experience, Hear Me Raw looks at what can happen when food becomes confused with virtue. This South African production tells the story of the student protestors who campaigned to remove a statue of Cecil Rhodes from their Cape Town campus. 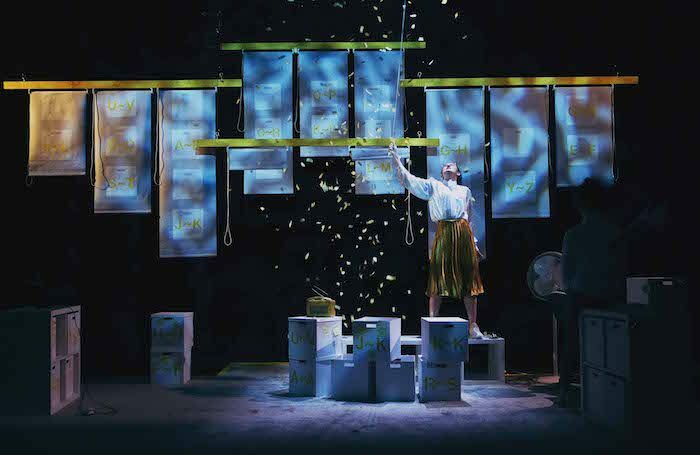 It’s intelligent, political theatre and one of the stand out shows of the fringe. In part conducted via Whatsapp, Javaad Alipoor’s layered exercise in lecture-theatre, The Believers Are But Brothers is an intelligent and illuminating exploration of the darkest enclaves on the internet and their impact on radicalisation. 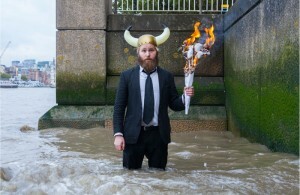 James Rowland, currently performing follow-up A Hundred Different Words for Love at Summerhall, brings last year’s glorious sobfest Team Viking to the Roundabout for one night only on August 16. Ben Whishaw returns to the Almeida, where he last appeared in Bakkhai in 2015 to star in Christopher Shinn’s new play Against, in which he plays an aerospace billionaire on a mission to change the world. Ian Rickson directs; it opens on August 18. The Olivier-winning West End musical adaptation of the 1935 Fred Astaire and Ginger Rogers movie Top Hat is revived in a new production at the outdoor Kilworth House Theatre, with a cast led by Dan Burton (in the Astaire role) and Lauren Stroud (Rogers), directed and choreographed by West End supremo Stephen Mear. It runs from August 16 to September 17. Julian Slade and Dorothy Reynolds’s 1950s musical Salad Days is revived, with two recent GSA graduates Lowri Hamer and Laurie Denman making their professional debuts in the lead roles. It opens officially on August 18. Jason Robert Brown’s Broadway musical 13, written for young teenagers aged 13 and under, is staged by British Theatre Academy as part of its annual West End residency at the Ambassadors, running from August 16-23. The return West End run of the stage version of The Kite Runner reaches the end of its season at the Playhouse on August 26. The Green Room: Do you think theatre is too middle-class?